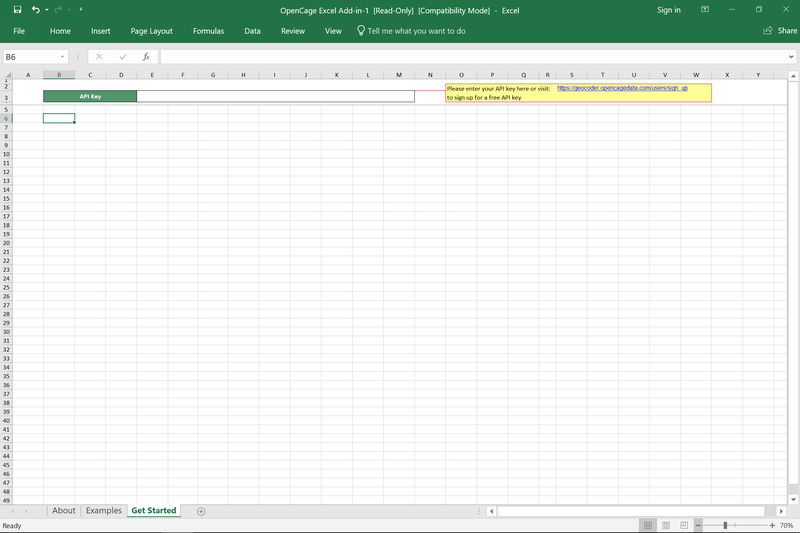 You can use the OpenCage geocoder inside Microsoft Excel to convert a list of coordinates to placenames (reverse geocoding) or placenames/addresses to coordinates (forward geocoding). 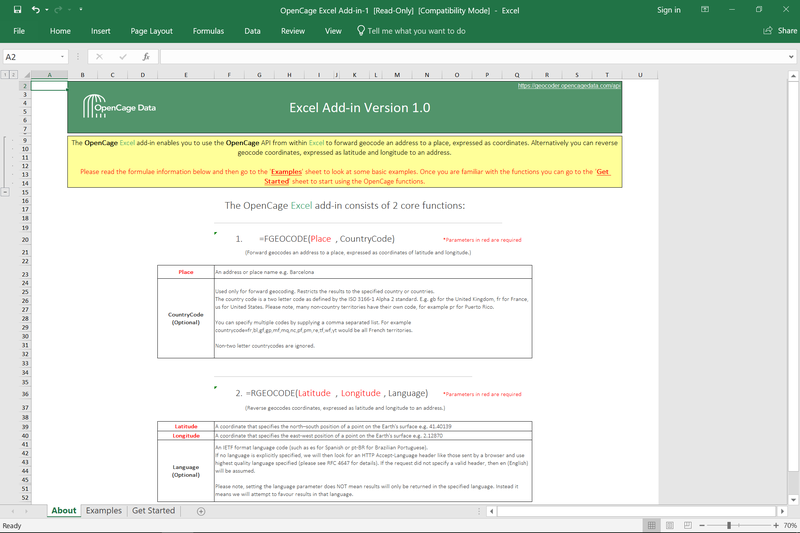 Download and install the OpenCage Excel Add-in. notice that the parameters are slightly different for the two functions. 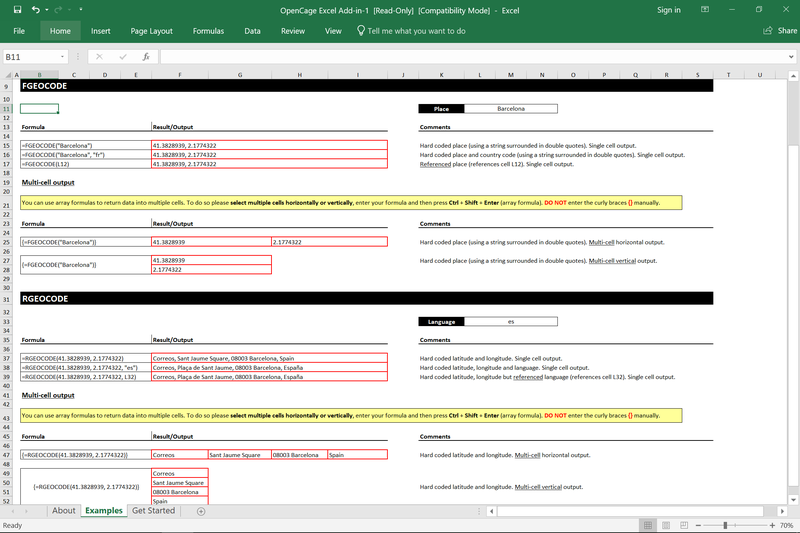 Before either command will work you will need to enter your OpenCage Geocoder API key in the "Get Started" sheet.